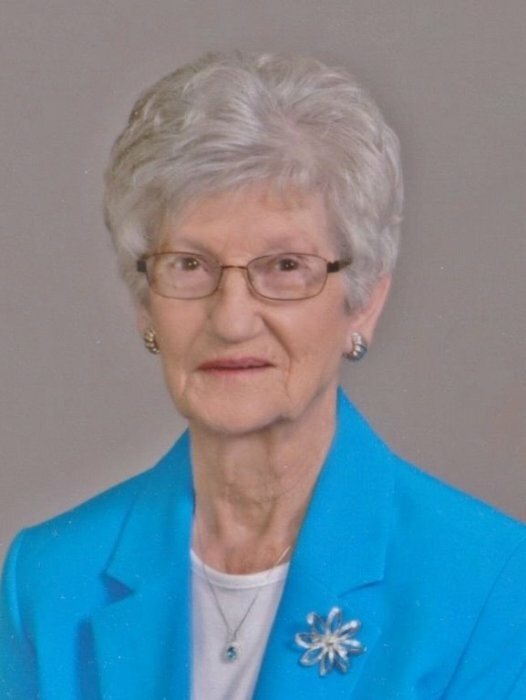 Nelly Kathryn Yankey Coulter, age 90, of Scruggs Lane, Willisburg, passed away at 11:00 a.m., Friday, April 5, 2019 at her home. A native of Washington County, she was born on March 1, 1929 to the late Hugh and Alta Upton Yankey. She was a member of the Willisburg Christian Church, a 1946 graduate of Springfield High School and a homemaker. Preceding her in death was her husband, Charles Eugene Coulter on March 14, 2012; an infant daughter, Linda Faye Coulter on March 21, 1955; two sisters, Helen Colvin on March 15, 2017 and Mary Evelyn Crain of June 17, 2017 and two brothers, Donnie Yankey on August 30, 2001 and Howard F. “Midget” Yankey on October 19, 2003. Funeral services will he held at 1:00 p.m., Tuesday, April 9th at the Carey & Son Funeral Home with Bro. Lance Ladd, minister of the Willisburg Christian Church, officiating. Serving as honorary pallbearers will be David Coulter, Hannah Coulter, Larry Joe Parrott, Lizzy Coulter, Jennifer Hamilton, Diana Mitchell, Dana Dean, Ernest Reed Goff, Philip Coulter and Albert Lee Chesser. Casket bearers will be Paul Coulter, Tyler Coulter, Trae Coulter, Melissa Coulter, Ronald Bowen and Larry Parrott. In lieu of flowers contributions may be made to Camp Calvary Scholarship Fund. Visitation will be from 5 until 9 Monday at the Carey & Son Funeral Home. Donations may be made at Carey & Son Funeral Home, by mail, or by visiting their website...Thank you.